When a client seeks legal help from an attorney, they often ask what the whole lawsuit and litigation process is like. Having dealt with many kinds of cases in the greater Salt Lake City area, the fact is that no two cases are quite alike. Each personal injury lawsuit, settlement, and trial is unique, and a number of particulars have to be taken into account. That said, there are some common steps in most cases. With that in mind, here's a general timeline of a personal injury lawsuit, with the various steps of the process listed in a chronological order. After an initial accident of any kind, it's of the utmost importance that you seek medical attention as soon as possible. Getting necessary medical help will help in your case since there will be a record of the injury and the harm that was caused. More importantly, this medical care will stabilize your condition and help address pressing health issues that stem from the accident. 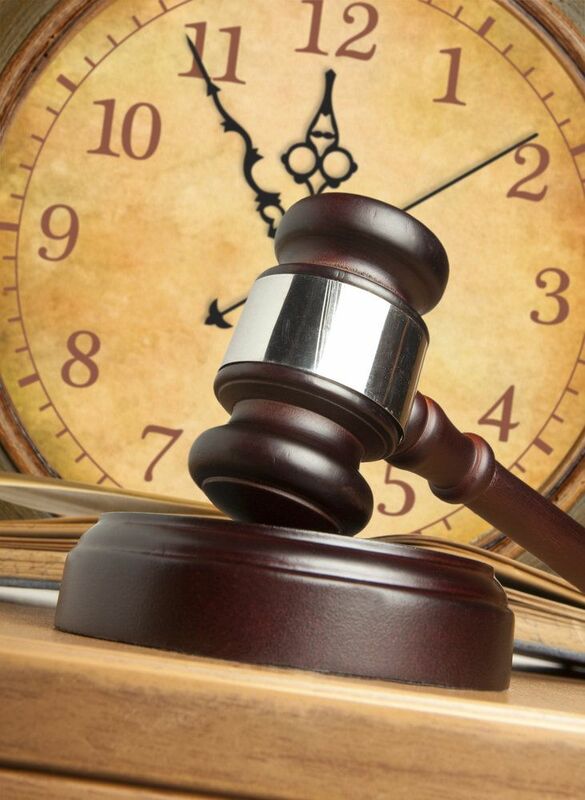 Even though you will have time to file a personal injury lawsuit (the statute of limitations is 4 years in the state of Utah), it's best to find an attorney as soon as possible. Working with a skilled attorney will provide you with the peace of mind necessary in the months and possibly years ahead. By starting the process sooner rather than later, a resolution will be reached in a much shorter amount of time. The attorney you select will then conduct an interview with you. This will allow the personal injury attorney to understand the circumstances of your case and the injuries that you sustained. In addition to the client interview, your personal injury attorney will likely give your medical records a look to note the exact nature of the injuries that was sustained and whether or not this means you have a strong case to be made. Your lawyer will often send an insurance claim to the insurer of the at-fault party. A claims adjuster is assigned to this matter to determine whether or not a settlement can be reached. When a settlement cannot be reached, that's when a personal injury lawsuit is filed. This civil lawsuit will involve a complaint or petition being made against the at-fault party, who will be served with legal papers. The defendant may file a countersuit against the plaintiff in some cases. As the lawsuit gets underway, the legal representative for the plaintiff and defendant will then initiate the discovery phase. This allows the respective sides to build their legal cases, which involves gather evidence and interviewing witnesses. This process can take a long time depending on the nature of your case and the availability of witnesses and evidence. Throughout the pre-trial phase, there may be other attempts made to settle the case before going to court. Avoiding a trial may be mutually beneficial to the defendant and plaintiff alike, and whatever settlement is reached will be negotiated to maximize mutual benefit for both sides involved. If a settlement cannot be reached, the personal injury case goes to trial. The resolution of the case may take some time to reach given the witness and expert testimony that may be involved. No matter the final outcome of the trial, know that you will have a strong legal advocate on your side. For more information about your legal rights and how we can help with the litigation process, be sure to contact a skilled personal injury attorney today. Lynn C. Harris and his team are here to help you in your time of legal need.